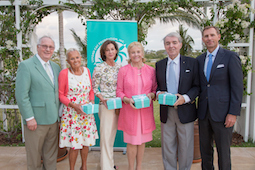 Lyford Cay Foundations recently recognized long-standing board directors Catharina Birchall, Frank Crothers, Nancy Kelly and Loretta Rogers for their extraordinary service and philanthropy over the past 20 years. 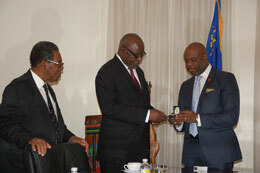 The Rotary Club of Nassau Sunrise welcomed the newly appointed Minister of State for Legal Affairs, The Honourable Elsworth Johnson to deliver remarks at their meeting on May 24th, 2017 at the British Colonial Hilton. 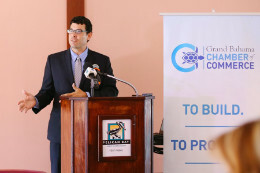 Minister Johnson’s inspiring presentation focused on his hope for the future of the Bahamas and shared his appreciation for the talent and potential of young Bahamians and the need to continue to be inclusive and supportive. One Eleuthera Foundation’s Breast Cancer Outreach Program (BCOP) hosted their fourth Annual “Pink Tea Party” event on Sunday April 30th, 2017, under the theme “Saving our Sisters, Strengthening Families”. 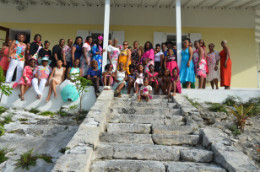 Women and girls from the surrounding communities came together at the Eleuthera Arts and Cultural Center (EACC) in Tarpum Bay to support the event and BCOP’s efforts towards breast cancer awareness. Delicious teas and pastries were served and the evening was filled with fun, laughter and education. 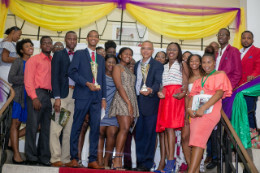 Under the theme “Solving Tomorrow’s Problems Today”, Junior Achievement Bahamas recently held its 38th Annual Awards ceremony where the outstanding accomplishments of the achievers, volunteers and counselling firms for the 2016/2017 year were honoured. 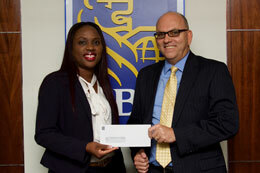 The 2017 Cancer Society’s 16th Annual Ball, an annual fundraiser that will benefit hundreds in the Bahamian community, is ready to make a difference with the support of RBC. This year’s theme of Celebrate! Faith. Hope. Love. Peace. Happiness. Survival. Joy. highlights the multiple dimensions of life and the reasons it is so important to continue seeking a cure. RBC’s annual sponsorship will assist the Cancer Society in obtaining the equipment and resources they need for cancer patients within the community. Proceeds from the ball will also help the society with its Cancer Caring Centre Expansion Project, adding a hospice facility and day care, with an additional 16 rooms for patients. The historic Collins House grounds were speckled with colourful eggs Easter weekend as hundreds of children searched for prizes during six egg hunts throughout the day. 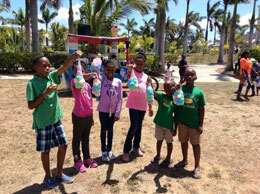 The Rotary Clubs of East Nassau, Nassau, and New Providence, in partnership with JoyFM and 100Jamz, hosted an Easter Egg Hunt and Fun Day on April 15 to celebrate the centennial of The Rotary Foundation. Proceeds from the fun day will be donated to The Rotary Foundation to do good in our community and the world. 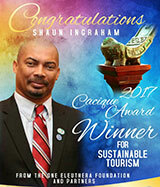 On April 8, 2017 The 17th Annual Cacique Awards recognized Shaun Ingraham of the One Eleuthera Foundation as the Winner for their Sustainable Tourism Award. 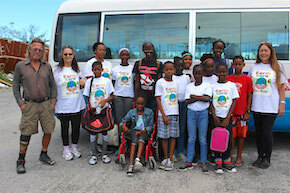 Shaun Ingraham is the cofounder of the One Eleuthera Foundation. 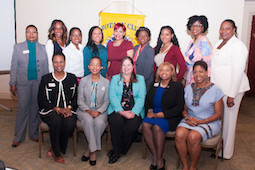 The Zonta Club of Nassau invited all persons to Be Bold For Change on Wednesday, March 8th, 2017 as we celebrated International Women’s Day, a global observance celebrating the social, economic, cultural and political achievements of women. 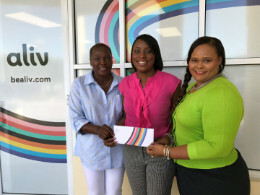 Each year, the Zonta Club of Nassau holds its United Nations Essay Competition which encourages high school students from all over the Bahamas to submit essays on a theme surrounding International Women’s Day. 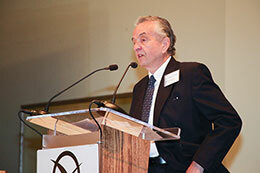 Numerous submissions were received this year and three finalists were selected. Gail Woon, Founder and Director of EARTHCARE and a Director of Save The Bays, “On April 8th, 2017, the topic for the EARTHCARE Eco Kids was Sustainable Fisheries. David Rose, veteran commercial fisherman of 40+ years addressed the EARTHCARE Eco Kids at the Kevin Tomlinson Academy. 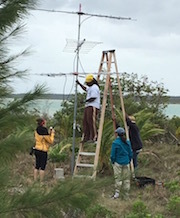 In March, researchers from the Bahamas National Trust (BNT) and the Perry Institute for Marine Science conducted an ecological survey of Walker’s Cay National Park. 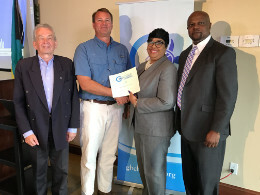 Rotary clubs in the Eastern United States and across the Caribbean Basin are combining resources to promote Community Service Projects reflecting Rotary International’s Six Areas of Focus (basic education and literacy, economic and community development, disease prevention and treatment, peace and conflict prevention/resolution, water and sanitation, maternal and child health). 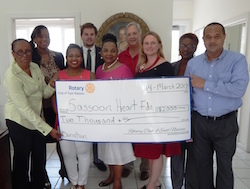 From Delaware to Trinidad, the Rotary Club of East Nassau (RCEN) has chosen the Sir Victor Sassoon (Bahamas) Heart Foundation to fulfill the organization’s commitment. 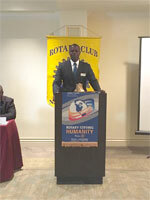 Prior to 1989 the constitution and bylaws of Rotary International stated that Rotary club membership was for males only. However on May 4th 1989 the US Supreme Court ruled that Rotary clubs may not exclude women from membership on the basis of gender. The Motus Wildlife Tracking System (Motus is latin for ‘movement’) uses automated radio telemetry to track animals affixed with radio transmitters. 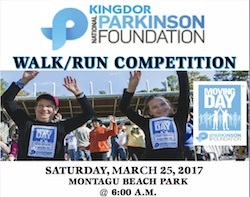 The Kingdor National Parkinson Foundation will host their Moving Day (Fun Walk/Run Competition) on Saturday, March 25, 2017 starting at 6 am at Montagu Beach Park. A registration form is attached (at bottom) for easy download. They were definitely out of their comfort zone now. The pitch black night disguised the landscape of the Andros' pine forest near Captain Bill’s Blue Hole. Crackling sounds of the undergrowth and "spooky" nocturnal animals voicing their displeasure with the intruders sent hearts beats racing.